Bergamo’s Caravaggio airport at Orio al Serio is the fourth busiest airport in Italy, just behind Milan Linate and ahead of Marco Polo airport in Venice. More than seven and a half million passengers use the airport each year. Currently you you can fly to Caravaggio -- usually listed in airline schedules as Milan Bergamo -- from more than 30 countries around Europe and North Africa. Ryanair has developed Bergamo as one of its major hubs and the majority of flights to the airport are operated by the Irish budget carrier. Visitors to Bergamo from the United Kingdom can fly with Ryanair from Bristol, East Midlands, London Stansted and Manchester. 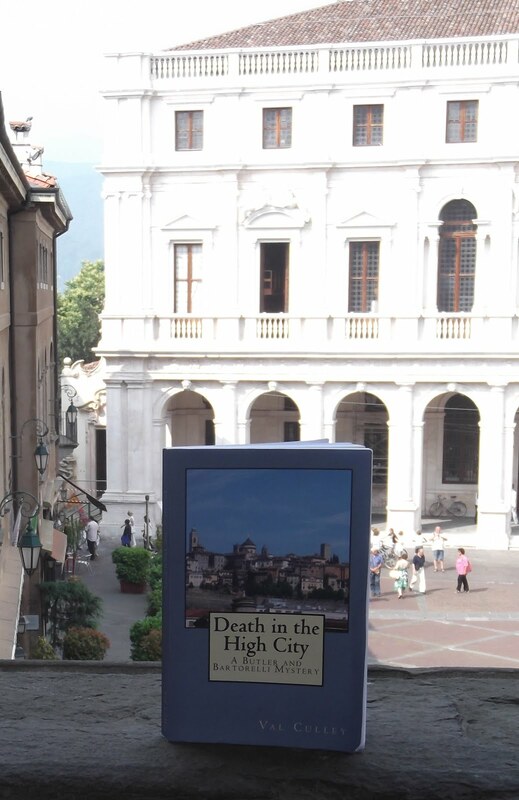 In addition to the UK, countries with direct flights to Bergamo are: Albania, Belgium, Bulgaria, Canary Islands, Czech Republic, Denmark, Egypt, Estonia, Finland, France, Germany, Greece, Hungary, Ireland, Italy, Latvia, Lithuania, Macedonia, Malta, Moldova, Morocco, Netherlands, Norway, Poland, Portugal, Romania, Russia, Slovakia, Spain, Sweden, Turkey and Ukraine. Here is Best of Bergamo’s comprehensive, A-Z country-by-country guide to where and when to catch a flight to Bergamo. All details are subject to change, so remember to check with the airline before making plans. Best of Bergamo's flight booking partner Skyscanner offers a free search and price comparison service. Ryanair operates daily services to Bergamo from London Stansted and Manchester, with additional flights from Bristol and East Midlands. Tuesday, Thursday and Saturday from March 31. Flight time: 2hrs 10mins. Saturday, Tuesday and Thursday. Flight time: 2hrs 10mins. Four flights daily. Flight time: 2hrs. One flight every day. Flight time: 2hr 15mins. Blu-Express fly from the Albanian capital Tirana to Bergamo. Sunday, Monday, Wednesday and Friday until March 27; daily from March 29. Flight time: 1hr 40mins. Ryanair operates daily flights to Bergamo from Brussels Charleroi airport, which is about 45 minutes south of the Belgian capital. Three times daily. Flight time: 1hr 30mins. Wizz Air currently flies six times a week from Sofia to Bergamo. Daily except Tuesday. Flight time: 2hrs 5mins. Ryanair operates services to Bergamo from Fuerteventura, Gran Canaria, Lanzarote and Tenerife Sud. Tuesday, Thursday and Saturday until March 28; Sunday, Sunday, Tuesday, Thursday and Saturday from March 29. Flight time: 4hrs. Sunday, Monday, Wednesday, Friday until March 27; Monday, Wednesday and Friday from March 30. Flight time: 4hrs 15mins. Sunday and Wednesday. Flight time: 4hrs 25mins. Daily except Sunday and Thursday until March 28; daily except Thursday and Friday from March 29. Flight time: 4hrs 25mins. Wizz Air operates four flights per week from Prague to Bergamo. Sunday, Monday, Wednesday and Friday. Flight time: 1hr 25mins. Ryanair flies to Bergamo from Billund, in central Denmark, and from Copenhagen, starting in late March. Monday, Tuesday, Thursday and Saturday from March 30. Flight time: 2hrs 5mins. Daily from March 26. Flight time: 2hrs 15mins. Meridiana flies once a week to Bergamo from Sharm-el-Sheikh. Neos operates flights from Marsa Alam, Marsa Matrouh and Sharm-el-Sheikh. Saturday. Flight time: 2hrs 50mins. Tuesday from May 12. Flight time: 2hrs 55mins. Sunday. Flight time: 3hrs 15mins. Sunday: Flight time: 3hrs 25mins. Ryanair flies from Tallinn to Bergamo three times per week. Tuesday, Thursday and Saturday. Flight time: 2hrs 55mins. Ryanair flies from Lappeenranta, two hours and 40 minutes north-east of the capital, Helsinki, twice per week and during the summer and autumn from Tampere, which is two hours north-west of Helsinki. Sunday and Wednesday. Flight time: 3hrs 15mins. Sunday, Wednesday and Friday from March 29. Flight time: 3hrs 10mins. Ryanair flies to Bergamo twice of three times daily from Paris Beauvais airport, which is about an hour and a half north of Paris, and a couple of hours south of Calais. They also operate a flight for part of the year from Lourdes to Bergamo. Two or three flights daily. Flight time: 1hr 30mins. Monday, Wednesday and Friday from March 30. Flight time: 1hr 40mins. Ryanair flies daily from Berlin and from Weeze, which is an hour to the north-west of Dusseldorf, and also operates a service from Hahn, an hour and a half west of Frankfurt, as well as Bremen. Air Dolomiti operates a once or twice-daily flight from Munich. Daily plus two flights on Sunday and Friday until March 27; once daily from March 28. Flight time: 1hr 45mins. Sunday, Wednesday and Friday from March 29. Flight time: 1hr 45mins. Daily. Flight time: 1hr 45mins. Sunday, Monday, Wednesday and Friday. Flight time: 1hr 15mins. Daily (twice Monday to Friday). Flight time: 1hr. Ryanair operates daily flights from Athens to Bergamo, regular flights from Crete, Kos and Thessaloniki, and summer services from Corfu, Kalamata, Kefalonia and Rhodes. Blu-Express flies to Bergamo from Mykonos, Santorini (Thira) and Skiathos. Meridiana runs a summer service from Mykanos. Daily until March 30; daily plus twice Tuesday, Thursday and Saturday from March 31. Flight time: 2hrs 35mins. Tuesday and Saturday from June 2. Flight time: 2hrs. Monday and Friday from March 30. Flight time: 3hrs 5mins. Tuesday and Saturday from July 4. Flight time: 2hrs 30mins. Wednesday and Saturday from June 3. Flight time: 2hrs 10mins. Tuesday and Saturday from March 31. Flight time: 2hrs 55mins. Sunday, Monday, Wednesday, Thursday and Saturday from August 1-31. Flight time: 3hrs 5mins. Sunday, Wednesday and Friday from July 19 to September 6. Flight time: 2hrs 50mins. Friday from June 12. Flight time: 2hrs 35mins. Monday, Wednesday and Thursday from July 17 to September 4. Flight time: 2hrs 30mins. Daily except Tuesday and Saturday. Flight time: 2hrs 15mins. Tuesday and Thursday from July 14 to September 3. Flight time: 2hrs 55mins. Ryanair flies daily from Budapest to Bergamo. Daily. Flight time: 1hr 35mins. Ryanair operates daily flights to Bergamo Orio al Serio from Dublin, with an additional summer service from Cork and Knock. Monday and Thursday from June 1 to July 30; Sunday and Wednesday from August 2-30. Flight time: 2hrs 25mins. Twice daily until October 24. Flight time: 2hrs 30mins. Tuesday and Saturday from June 2 to July 4; Wednesday and Saturday from July 8-29; Tuesday and Saturday from August 1-29. Flight time: 2hrs 40mins. Ryanair operates internal flights daily to Bergamo from Alghero, Bari, Brindisi, Cagliari, Catania, Crotone, Lamezia Terme, Pescara, Palermo and Trapani. Blu-Express flies six days a week from Rome Fiumicino. Meridiana flies to Bergamo from Olbia twice a week. Volotea flies from the islands of Lampedusa and Pantelleria from May until October. Daily (twice Tuesday and Saturday) until March 29; twice daily (once Saturday and Sunday) from March 30. Flight time: 1hr 25mins. Three or four flights daily. Flight time: 1hr 30mins. Two or three flights daily until March 30; three or four flights daily from March 31. Flight time: 1hr 30mins. Two or three flights daily until March 30; three or four from March 31. Flight time: 1hr 25mins. Three fights daily Monday to Friday, two Saturday and Sunday; three daily from March 29. Flight time: 1hr 50mins. Two of three flights daily until March 28; three or four daily from March 29. Flight time: 1hr 40mins. Saturday from May 2 until October 31; Saturday and Sunday from May 30 until October 4; Sunday, Wednesday and Saturday from July 1 until September 2. Flight time: 2hrs. Two or three flights daily until March 28; three or four daily from March 29. Flight time: 1hr 40mins. Saturday from May 23 until October 31; Saturday and Sunday from June 6 to October 4; Sunday, Wednesday and Saturday from July 1 to September 2. Flight time: 1hr 50mins. Once or twice daily. Flight time: 50mins. Daily (except Saturday). Flight time: 1hr 15mins. Two flights each day Monday to Friday, one on Saturday and Sunday until March 28; twice daily from March 29. Flight time: 1hr 35mins. Ryanair flies to Bergamo four times a week from Riga. Sunday, Tuesday, Thursday and Saturday from October 24. Flight time: 2hrs 40mins. Tuesday, Thursday and Saturday until March 28; Monday, Tuesday, Thursday, Friday and Saturday from March 30. Flight time: 2hrs 30mins. Wizz Air - Sunday, Tuesday, Wednesday, Thursday and Saturday. Flight time: 2hrs 30mins. Wizz Air flies to Bergamo from Skopje twice a week. Monday and Friday. Flight time: 1hr 45mins. Ryanair operates a daily flight from Malta International Airport. Daily except Tuesday and Thursday until March 30; daily from March 31. Flight time: 2 hrs, 5 mins. Wizz Air flies twice-weekly to Orio al Serio from Chisinau. Monday and Friday. Flight time: 2hrs 35mins. Ryanair flies twice or three times weekly to Bergamo from Fez and three or four times weekly from Marrakesh, while there is a daily service from Casablanca operated by Air Arabia. Daily except Friday and Saturday until March 26; daily from March 29. Flight time: 2 hrs 55 mins. Monday and Friday until March 27; Tuesday, Thursday and Saturday from March 31. Flight time: 2hrs 55mins. Sunday, Monday, Wednesday and Friday; plus Saturday from April 4. Flight time: 3hrs 20mins. Ryanair flies daily to Bergamo from Eindhoven. Daily. Flight time: 1hr 30mins. Ryanair flies to Bergamo five times a week from Moss Airport at Rygge, known as Olso Rygge, about one hour south of the capital. From April 1. Sunday and Wednesday until March 25; Sunday, Monday, Wednesday and Friday from March 29. Flight time: 2hrs 30mins. Ryanair and Wizz Air between them offer services to Bergamo from seven departure points in Poland. Monday and Friday. Flight time: 2hrs 10mins. Tuesday, Thursday and Saturday. Flight time: 1hr 50mins. Saturday. Flight time: 1hr 40mins. Sunday, Tuesday, Thursday and Saturday. Flight time: 2hr 05mins. Daily (except Saturday) until March 27; daily from March 29. Flight time: 2hrs 20mins. Monday and Friday until March 27; Sunday and Wednesday from March 29. Flight time: 1hr 40mins. Ryanair operates between four and seven flights per week from Porto to Bergamo and a daily service from Lisbon. Daily. Flight time: 2hrs 45mins. Daily. Flight time: 2hrs 40mins. Wizz Air flies daily to Bergamo from Bucharest and five times a week from Cluj, with other services from Arad, Craiova, Chisinau, Timisoara and Tirgu Mures. Blue Air operates flights from Bucharest and Bacau, with a new service from Constanta starting on April 1. Monday and Friday. Flight time: 1hr 40ms. Sunday, Wednesday and Friday until March 27; Tuesday, Thursday and Saturday from April 2. Flight time: 2hrs 20mins. Daily. Flight time: 2hrs 10mins. Sunday, Monday, Wednesday and Friday until March 30; daily except Tuesday and Thursday from April 1. Flight time: 2hrs 10mins. Daily (except Tuesday and Saturday). Flight time: 2hrs. Wednesday and Saturday from April 1. Flight time: 1hr 30mins. Sunday, Monday and Friday. Flight time: 2hrs. Sunday and Wednesday. Flight time: 2hrs. Blu-Express flies twice a week from Moscow to Bergamo. Tuesday and Saturday from March 21 to October 24. Flight time: 3hrs. Ryanair flies to Bergamo four times per week from Bratislava airport, which also serves travellers from Austria, being about an hour to the east of Vienna. Sunday, Monday, Wednesday and Friday. Flight time: 1hr 30mins. Ryanair flies to Bergamo from 11 airports in Spain, operating services from Alicante, Barcelona, Ibiza, Madrid, Malaga, Palma, Santander, Santiago, Seville, Valencia and Zaragoza. Tuesday, Thursday and Saturday until March 28; Monday, Tuesday, Thursday and Saturday from March 30. Flight time: 2hrs 10mins. Three times daily. Flight time: 1hr 45mins. Daily (twice Monday, Wednesday and Friday) from September 1; daily (twice Monday) from October 1 until October 25. Flight time: 1hr 50min. Twice daily. Flight time: 2hrs 15mins. Monday and Friday. Flight time: 2hrs 30mins. Sunday, Wednesday and Friday from March 29. Flight time: 1hr 55mins. Tuesday, Thursday and Saturday from March 31. Flight time: 2hrs 15mins. Monday, Wednesday and Friday from March 30. Flight time: 2hrs 40mins. Daily. Flight time: 2hrs 35mins. Twice daily until March 28; twice daily (once on Sunday) from March 29. Flight time: 1hr 55mins. Sunday, Monday, Wednesday and Friday. Flight time: 1hr 55mins. Ryanair flies daily to Bergamo from Stockholm-Skavsta airport, which is about an hour and a half to the south-west of the Swedish capital, close to Nyköping, and twice weekly from Gothenburg Landvetter. Sunday and Wednesday from March 29. Flight time: 2hrs 25mins. Daily (except Saturdays) until March 27; daily from March 29. Flight time: 2hrs 35mins. Pegasus Airlines has a daily service from Istanbul to Bergamo. Wizz Air flies three or four times a week from Kiev to Bergamo and three times a week from Lviv. Monday, Wednesday and Friday until March 27; Sunday, Tuesday, Thursday and Saturday from March 29. Flight time: 2hrs 50mins. Monday, Wednesday and Friday until March 30. Tuesday, Thursday and Saturday from April 2. Flight time: 2hrs 10mins.